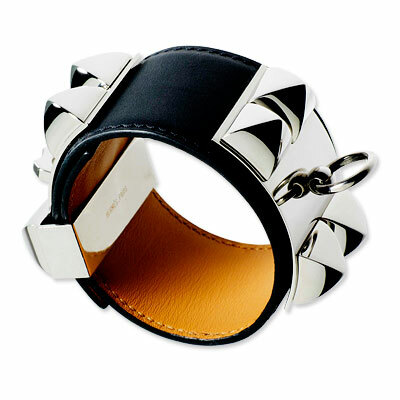 There is only one bracelet that I’ve been obsessed with for years…the Hermes, “Collier de Chien” Bracelet. For some reason, since I bought my very first pair of Hermes Cuff, the only thing I would dream about was owning a second pair. I still don’t completely understand my infatuation with stuff in orange boxes, but I..umm really do like them. As shown above ($1500).